A FEW years back, Mercedes launched an offensive to modernise its fleet by refreshing some of its line-up and promising new, youthful additions. A vibrant new line-up followed and Mercedes has produced some stunning models. The new E-Class is sublime, and scooped the Irish Car of the Year for 2017. For all its efforts, though, the luxury German car maker has lagged behind its biggest rival, BMW, in the worldwide sales charts. Since 2005, BMW has claimed the top spot for the luxury car brand with the most sales. That ended in 2016 as Mercedes saw off its old adversary, selling 2,083,888 models worldwide last year, an 11.3 per cent increase compared with 2015. Back in 2011 – when another German rival, Audi, moved ahead of Mercedes in the sales charts – Dieter Zetsche, Chief Executive of parent company Daimler, laid out the blueprint for improvements that would take Mercedes back to the top of the best-selling luxury car-maker by 2020. They have delivered three years early. Mercedes achieved its best year ever in 2016, which is the sixth year in a row the German car maker has boasted increased sales. Huge growth in China and Europe helped overall sales, especially in the SUV segment, which proved a big draw in 2016, with the luxury brand selling 700,000 SUVs. 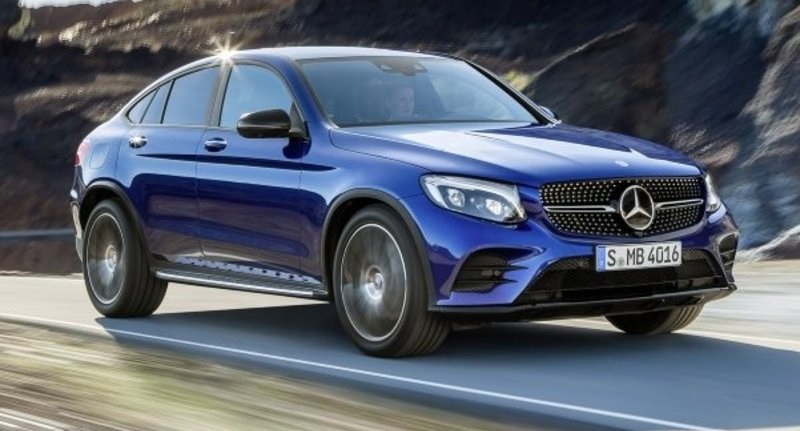 One of the SUVs to help them reach those numbers is the new GLC and sportier GLC coupé. 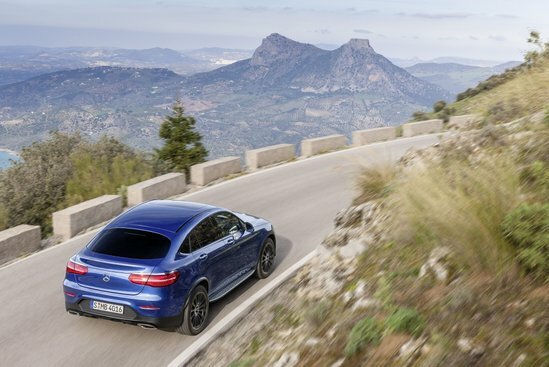 There is a familiar look about both the GLE coupé and the smaller GLC coupé to BMW’s X6 and X4 models. If you put all four models side by side, you would notice some similar-looking features, although the new Merc is much more aggressive looking at the front end. The coupé’s sloping roof does slightly make headroom a little tighter in the rear over the standard model, but we still think the coupé version looks better. The sportier back end does obscure your vision slightly when reversing out of tight spots and there are a couple of blind-spots due to its design. The rear seat back still splits and folds flat, although the boot is smaller by some 50 litres than its standard sibling. Elsewhere around the cabin, there is a familiar look to the standard model, with nice soft-touch materials and a beautifully-designed uncluttered dash. On the road, Mercedes has upped its game of late and are pushing BMW to the limit in the handling department. The standard 4Matic four-wheel drive system distributes the power front to rear as needed. It still falls a little bit short of its Bavarian rival, but we are willing to overlook this as we think that it looks better in the flesh. Our test Mercedes for the week, was the 220d AMG sport model. Fitted with Mercedes’ 9G-Tronic automatic gearbox, the 2.1-litre diesel engine has a claimed fuel economy figure of between 4-5.4l/100km and costs €390 a year to tax. Overall, the new GLC coupé is yet another wonderful addition to the rejuvenated Mercedes brand. BMW has a serious battle on its hands now to challenge its German rival.